Seven days after Tiger Roll made history by becoming the first horse to win the Grand National back-to-back, there was another Tiger on a roll at Augusta, as the world-famous Tiger Woods ended a wait of eleven years and much controversy away from the course, by claiming his fifth green jacket at the Masters. As is well documented, both man and horse returned from a duration in the wilderness to reign on the greatest stage. Talking of the equine Tiger, his comeback was not through any injury or off the field issues - but more down to the fact of being able to get back to Aintree to defend his National crown, let alone win it again. Previous winners of the race have struggled to make it back to Merseyside due to the effects the gruelling test it has on the runners - i.e One For Arthur who missed the whole of the 2017/18 season having won the Liverpool highlight back in 2017. But it was not all plain-sailing for Tiger Roll - he was bred in Ireland by Gerry O’Brien and bought as a foal by Godolphin for 70,000 guineas at Tattersalls back in 2010. He never raced for the boys in blue, and was sold three years later to Devon trainer Nigel Hawke for £10,000. Yet somehow, five years after his move to the Gigginstown giants, he is two-time winner of the world's greatest steeplechase. That is surely one of the most remarkable stories in British racing history. Back in 2016, the Nicky Henderson-trained Sprinter Sacre completed one of the most extraordinary comebacks that even Cheltenham has seen, after he recaptured the Queen Mother Champion Chase, which he had previously gained in 2013. 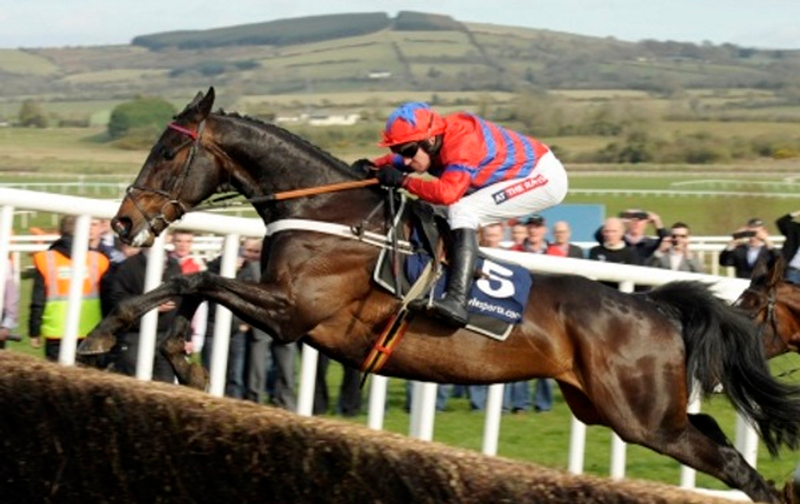 Sprinter Sacre had established himself as one of the most outstanding chasers in National Hunt history in the early years of his career, achieving the heights of a Timeform rating of 192p in 2006. His ten-race winning streak over fences came to end when he was pulled up at Kempton in December of 2013 where he was found to be suffering from an irregular heartbeat. He was treated for the problem but was defeated in all his three following outings – two of which again he was again pulled up. Fighting several heart problems, connections braved his health by attempting to get him back to his best the following season, instead of sending him to a deserved early retirement. But back came the old fan favourite, winning the Shloer Chase and the Desert Orchid on route to that emotional day at Prestbury Park, where he overcame the short-price favourite and former Arkle winner Un De Sceaux. It was as though the gods had abided by the intended script everyone wanted, and there was not a dry-eye in the house post race. Just like any athlete, jockeys are no strangers to overcoming sport's injuries - some of which could be life-threatening and end their respective careers; such as George Baker, Freddie Tylicki and more recently Fran Berry. Frankie Dettori, arguably the most famous jockey to those outside of the game, has had to overcome other events in his lengthy-illustrious career - which looking back on, it is a surprise to still see him even riding just a couple of years off fifty. In November 2012, he faced an inquiry following a failed drugs test while riding in France, of which the verdict saw him suspended for six months, after he was found guilty of taking cocaine. Many doubted the Italian would ever reach the heights he once roamed with the likes of Godolphin, but now in 2019, many would say he is better than ever before, now chief jock to John Gosden and forming great parternships with the likes of Golden Horn, Enable and Cracksman. After serving his six-month ban, Dettori made his racing comeback at Epsom in May 2013, and a week later, he won his first race back aboard Asian Trader at Sandown. He is one of the biggest characters in the weighing room, and the sport needs more Frankie Dettori's. The late Sir Henry Cecil was one of the greatest men in British racing to ever grace the game and train racehorses. Cecil dominated flat racing through the 1970s, 80s and 90s, winning multiple Classics with ease and landed trainers’ championships virtually unchallenged. Nine sets of Guineas and twelve Oaks or Derby's in England, his methods were to be desired by all, as he somehow managed to mastermind the best out of every horse in his yard to achieve their optimum best. Towards the end of his life, his racing operation began to struggle, with many business problems as well as his health intervening between him and success, as he only managed to train twelve winners in the whole of 2005. The knighted man from Aberdeen needed a star to help him bounce back and put his yard back on the map, and boy did he get one. After winning the Oaks with Light Shift in 2007 and fighting through every battle with cancer, along came Frankel - winner of fourteen successive races and retired unbeaten, for who many perceive as now the greatest horse of all time. Cecil sadly passed away in 2013, but the achievements of Frankel saw his life finish with an almighty flourish. Brendan Powell is very much a man in the news at the minute, having now teamed up with Joseph O'Brien in Ireland as his new assistant. Keeping his name in the headlines, the 58-year-old's most famous day to date will be his victory aboard Rhyme 'N' Reason in the 1988 Grand National, well over thirty years ago. The staying chaser also provided Great Britain with their first win in the Irish equivalent three years earlier in 1985 for 57 years, but in the two years in between the two high-class triumphs, he was very much sitting on the sidelines. Trained by David Elsworth, Rhyme 'N' Reason returned in the 1987-88 season to prevail five times, but his National success in Liverpool saw him reinvent the definition for luck. His mistake at Becher's Brook on the first lap saw him almost unship Powell in the saddle, yet somehow the partnership remained in tact having slipped on the landing side of the mountainous fence. The duo got themselves back into contention and prominent, and stayed on well up the run-in to pass the post in front, four lengths to the good over Durham Edition.